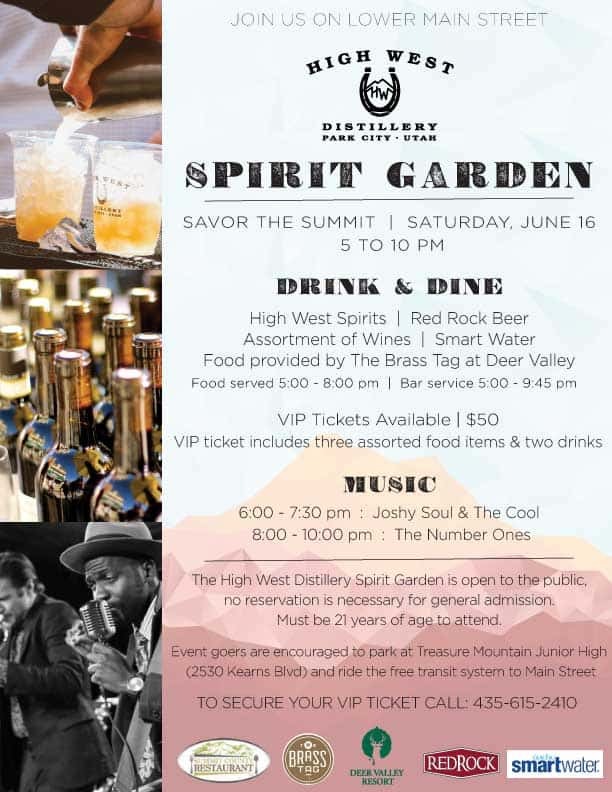 Each year, Park City kicks off the summer with its largest outdoor dinner party, Savor the Summit. The event, organized by Park City Area Restaurant Association, is traditionally held each June on the Saturday closest to the Summer Solstice (June 21). Historic Main Street is closed to traffic and beautifully decorated tables, hosted by participating restaurants, stretch along the middle of the street. Each participating restaurant compiles a pre-fixe dinner menu highlighting some of their finest summer dishes, often with a wine pairing option. We can’t think of a better way to kick off the summer season than by enjoying delicious food and drink on iconic Main Street with hundreds of our best friends! Savor the Summit is a popular event and parking in Park City’s Historic Main Street area is fairly limited. We recommend hopping on Park City’s free transit busses, using a Summit Bike Share e-bike, riding your own bike, walking, or taking a cab or an Uber. Parking will be available at Treasure Mountain Junior High School (2530 Kearns Boulevard), from where you can hop on a free city bus to Main Street. Your favorite summer clothing! Don’t forget a light jacket or sweater as the temperature tends to cool off once the sun sets. Don’t have a reservation to a restaurant’s Savor the Summit Table? You needn’t worry! There are still some available – view your options here. Or, if you can’t find what you’re looking for, it’s always fun to cruise around Historic Main Street and check out the immaculate table decorations and listen to live music before eating dinner at one of many restaurants offering their regular dining operations. High West Distillery and Saloon will host a Spirit Garden on lower Main Street accompanied with live music. No ticket or reservation is required in advance. Entrants must be 21-years-old. Find out how much thought and effort restaurants put into their tablescapes in the video below! New at this year’s Savor the Summit are extensive sustainability measures to divert waste from the landfill. Through partnerships, with curbside recycling and wild harvest farms, the Park City Area Restaurant association will collect compostable goods and recyclable materials.